Valentine’s Day is coming up and I like to think of it as a day of love for friends. 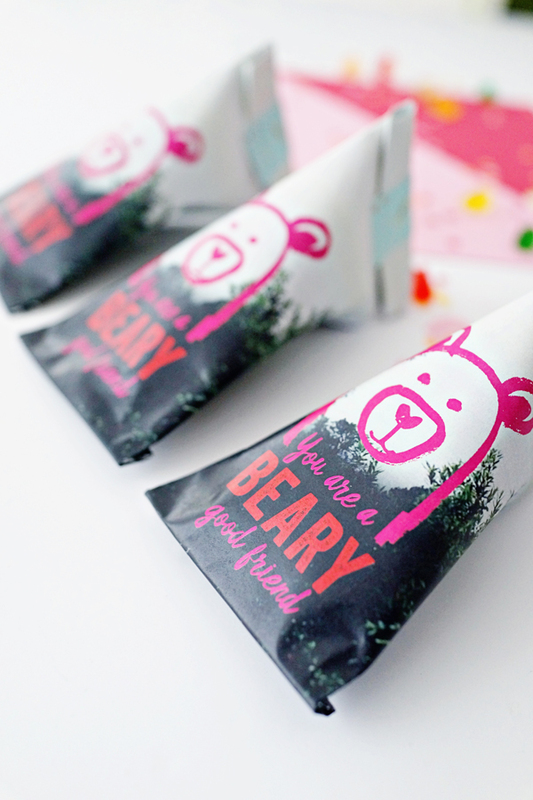 Today I’m sharing these BEARY cute gender-neutral favor bags. 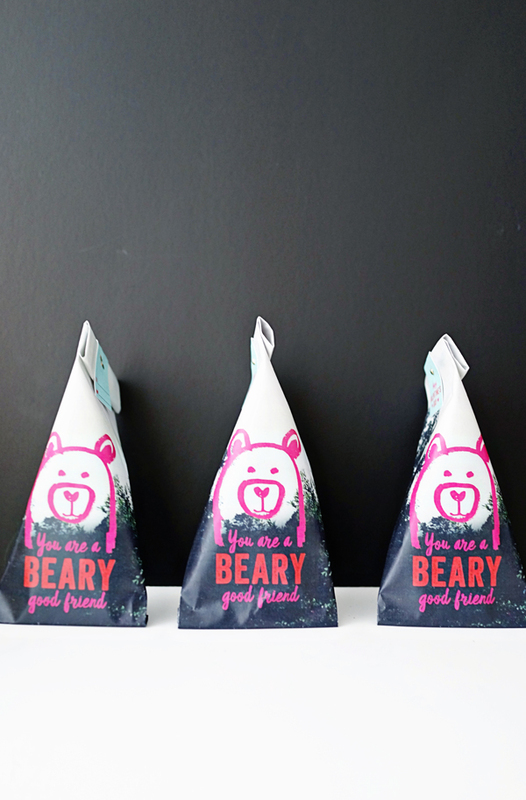 The materials are super simple and would be a great little project for kids to share with their special friends. 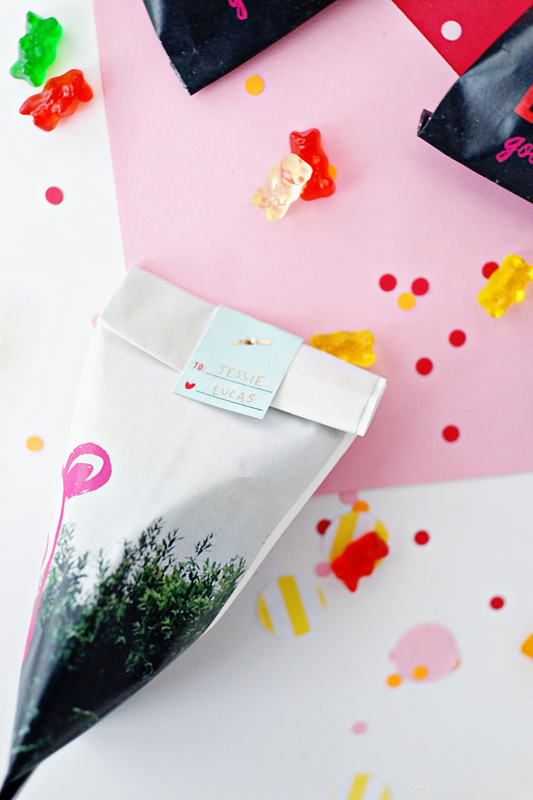 It’ll be my son Lucas’ first Valentine’s Day where he can give out treats so we are really looking forward to filling these favor bags with handfuls of our favorite gummy bears. 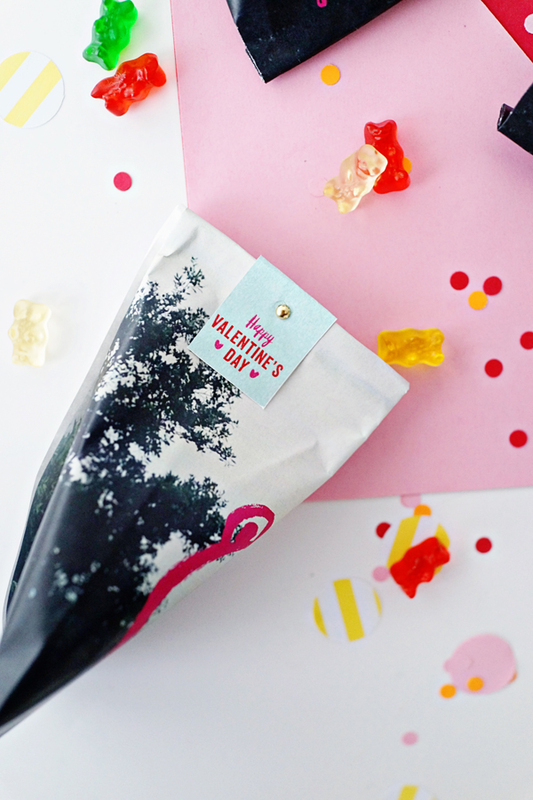 Step 1: Print out the Valentine’s Day Beary Favor Bags Printable onto 8.5 x 11 white paper. 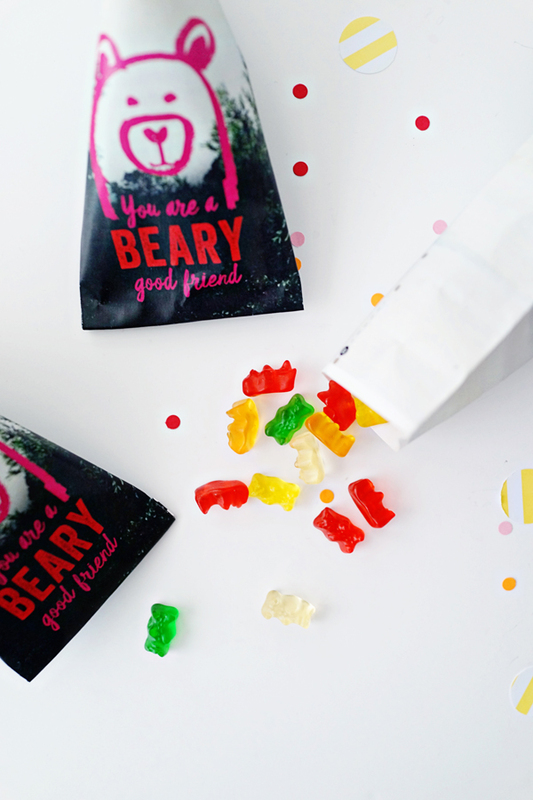 Print out the Valentine’s Day Beary Favor Bags Name Tags Printable onto 8.5 x 11 white card stock, cut out with an X-acto knife and fold in half. Write friends’ names on the tags. Step 2: Gently fold paper along the dashed line marked “A”, creating a soft crease. Step 3: Gently fold paper along the dashed line marked “B”, creating a soft crease. Step 4: Place a piece of double-sided tape (approximately 10″) along the length of the left side of the paper. 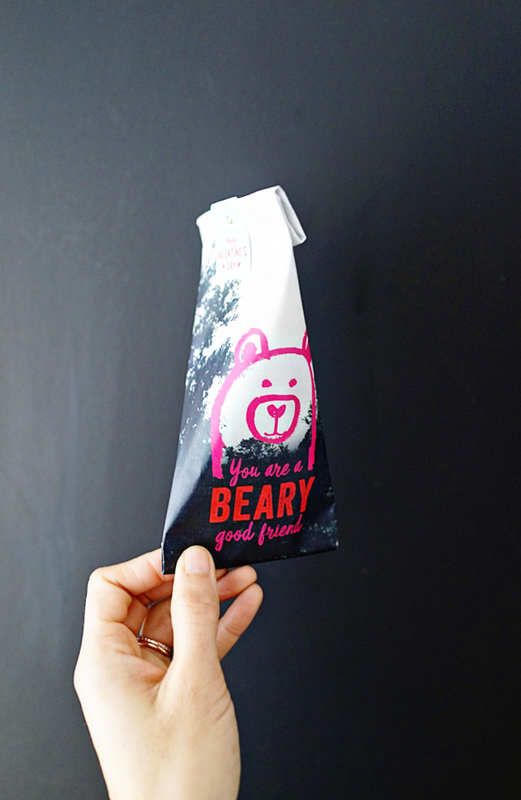 Step 5: Fold “B” on top of “A”, adhering the double-sided tape to seal the back of the bag. 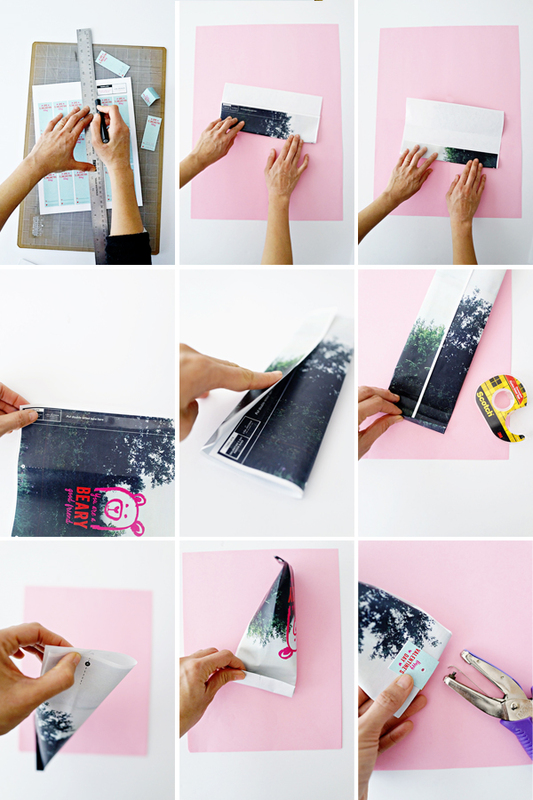 Step 6: Make four half-inch folds to the bottom of the bag and seal with a piece of double-sided tape or a staple. Step 7: Pinch “A” and “B” together to create the top of the bag. Step 8: Make two one-inch folds at the top of the bag. 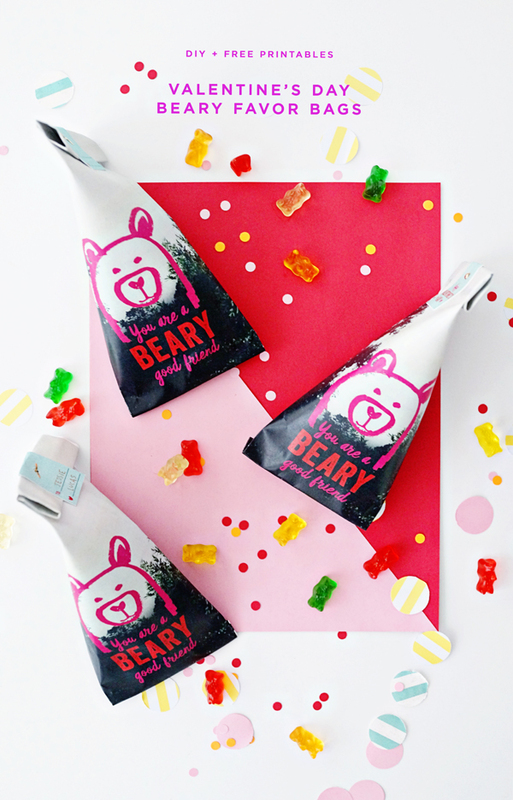 Unfold and fill the bag approximately half way with gummy bears or other treats. 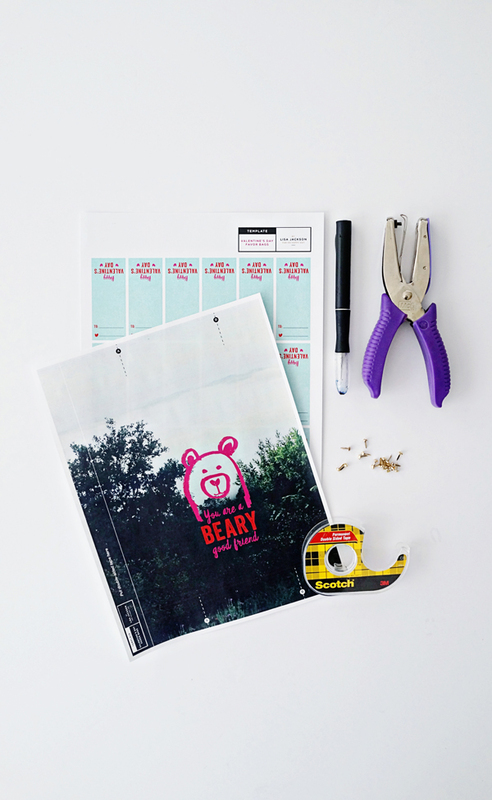 Step 9: Wrap one of the name tags around the top and use the hole puncher to punch a hole in the center. Insert a gold mini brad (you could also use mini heart brads or a simple staple) and pass out to friends! 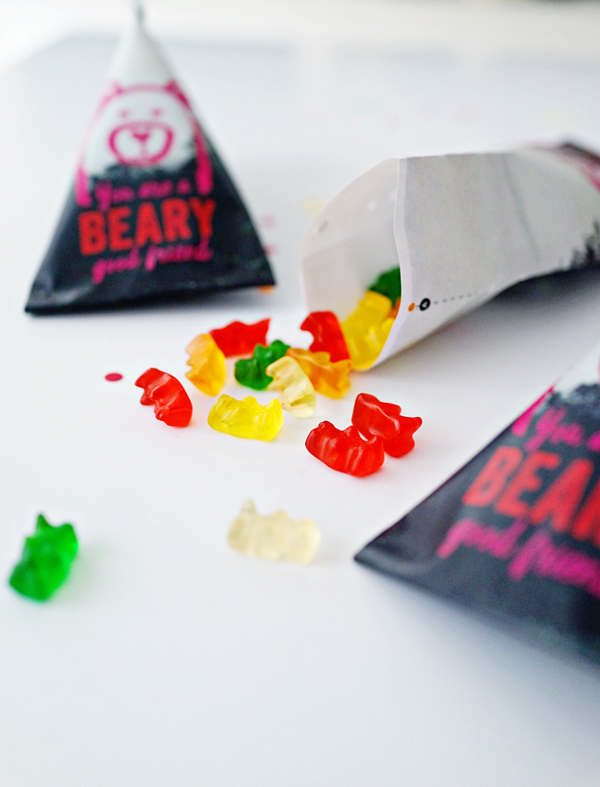 This is so utterly cute, not only for kids!